What’s the ideal age to start learning guitar? Name one great musician who started at that age and there are three who started later. There is a certain fascination with the mystery of musical excellence that motivates people to spread absurd theories, myths and legends. Don’t worry about an “ideal age to learn music”. If you want to learn music, just mind your own business and do it—now. You can learn to play guitar at any age—even with no previous musical experience. Most professional musicians who know how to tie their own shoes also know the fundamentals of music theory. But some amateurs don’t, and they would love to waste your time by telling you why music theory is pointless, and name examples of famous musicians who don’t know anything about it. But the “stars” who don’t know anything about music usually have their songs written, produced and edited by people who do. Those people are called musicians. All accomplished musicians have a profound understanding of how music works, although some who did not study music theory may not know the terminology used to express these things to other people. If your goal is to put a limit on what you know, then by all means skip out on learning music theory. And if you’re trying to learn the guitar on a limited practice budget, it’s reasonable to feel that you may not have much time for it. You don’t need to learn music theory to play the guitar, but you do need to learn music theory to understand the guitar. If you’ve already begun learning music theory and you don’t see the point of it, you haven’t gotten far enough yet. This one is just plain boring. Anybody with professional music experience knows how common private instruction is, yet people love to point out examples of greats who never took a lesson. Mark Zuckerberg may have dropped out of college and become a billionaire, but that doesn’t make it the best choice for you. If you want to have an edge in learning the guitar, get a good teacher, if at all possible. Most serious music learners see private lessons as one of the most important tools to have in their learning arsenal. And one is hard-pressed to think of a single respectable musician who has advocated against private lessons. If you don’t have a teacher, or money for lessons: don’t feel bad. You can learn on your own, too. But the private lessons institution has served as the bedrock of music education for hundreds of years, and it’s not going anywhere. 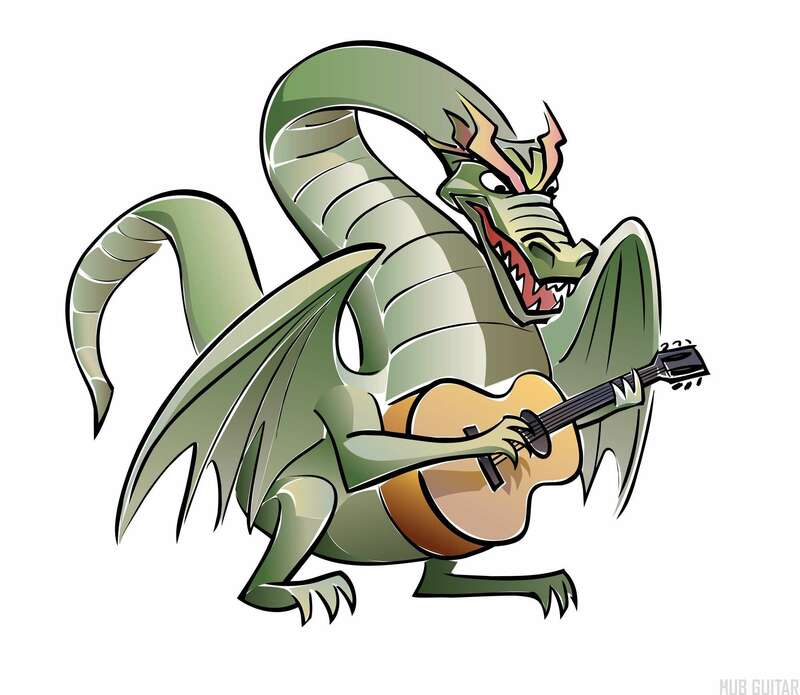 Like so many of the myths of learning guitar, here is another one created by insecure players for the purpose of protecting their fragile egos. You can learn to write, record and produce songs and perform complicated music without learning to read standard notation. But most musicians either can read music, or wish they had the chance to learn. Anyone who can’t read music and says it’s a waste of time has suspicious motives. This is like your broke friend who says money doesn’t matter, or your out-of-shape friend who says fitness is for chumps. Do they really believe that, or are those grapes a little sour? No. There are a few great websites, but most musicians and teachers with advanced experience and knowledge are not slaving away to give their services away for free. Most great performers are busy playing shows, and most great teachers are busy giving lessons. If you have the chance to spend some time with truly accomplished musicians, you’ll be amazed by the volume of knowledge and wisdom you can learn that simply hasn’t been published anywhere—except perhaps in the form of recorded audio, which is the ultimate record of musical knowledge. Musical recordings contain all of music’s secrets—if we know how to listen for them. Time spent with a teacher who focuses on what you want to do, or time spent working on creating your own original music, or time spent looking through books and other resources both free and not-free are all important tools in your arsenal. The most important thing is to be aware of what your skills are, what you need to practice, and how to improve those areas of weakness. And that’s something no website can ever teach you. That awareness is the first step to mastery. Maybe not a myth, exactly, but more of an error in logic. One of the most common justifications used for poor technique, bad practice habits or the like is made by drawing comparison to a real person. For instance, if we show a guitar technique to several people, they’ll all have their own ideas about what is the “right” way to play it, and eventually someone has to say, “Well, Jimi Hendrix played it this way,” or something like that. Great, why don’t we get Jimi in here and have him play it for us? When people make these comparisons, you have to remember: Jimi Hendrix is dead, and if he had your hands maybe he’d play it a different way. You can easily get lost out there if you spend too much time worrying about how someone else would do it. See, you’re trying to teach yourself how to play guitar—not Jimi Hendrix—right?